St. Thomas of Villanova College in King City, Ontario. The Augustinian high schools are healthy and providing quality education in the Augustinian tradition to the next generation of students. Just as was done in the past, we emphasize our values of Truth, Unity, and Love, and provide eight full semesters in Catholic Theology for all high school students. In order to keep in touch and coordinate our work, the Midwest Province Education Commission meets twice a year on a rotating basis at each school. A big change in modern times is, of course, the transition to lay leadership which sooner or later will probably occur in every one of our schools. Augustinians are designated as Director of Augustinian Mission to help safeguard the Catholic nature and the Augustinian charism in schools where there is lay leadership. Fr. John Sotak, O.S.A. is the Director of Augustinian Mission at Cascia Hall, and Fr. Rich Young, O.S.A. holds that position at St. Rita of Cascia High School. In these difficult and troubling economic times, all of our schools have worked hard to provide as much need-­based aid to their families and students as possible. Austin Catholic Academy in the Archdiocese of Detroit was founded to provide quality Catholic secondary education for the youth of the Church. The school is entrusted to the Midwest Province of the U.S. Augustinians so that Austin would be given life, character and direction through the charism and unique education program of the Augustinians. Cascia Hall is a Catholic Augustinian, college preparatory school that serves young women and men in grades 6­12. 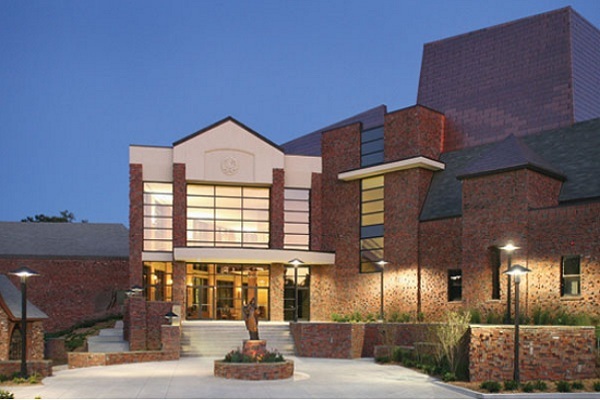 Situated in the Diocese of Tulsa, Cascia Hall has prepared students for college with a liberal arts program committed to the Augustinian values of Truth, Unity, and Love since 1926. Cascia Hall educates in a community environment, focusing on academics while maintaining a balance of spiritual, physical, and emotional and psychological growth. Providence Catholic High School is a coeducational diocesan school administered by the Augustinian Friars in the Diocese of Joliet. The school was founded by the Sisters of Providence, and has been located in New Lenox, Illinois since 1962. Providence Catholic High School exists to teach the Gospel of Jesus Christ and prepares students of all faiths and races for the challenges of adult life through a college preparatory education. 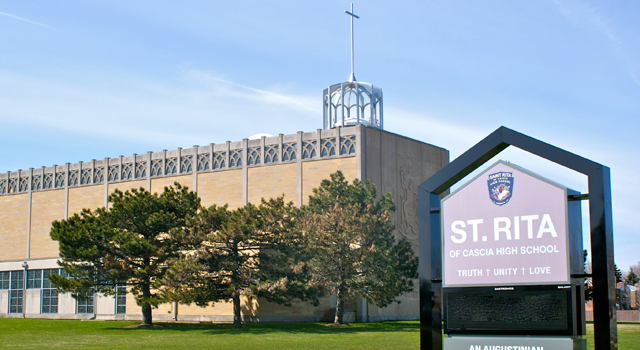 Founded in 1905 by the Order of Saint Augustine, Saint Rita is a Catholic college preparatory high school for young men in the Archdiocese of Chicago. Rooted in the gospel of Jesus Christ and the tradition of Saint Augustine, Saint Rita High School prides itself on developing each young man as a whole person: spiritually, intellectually, emotionally, physically, and socially. St. Thomas of Villanova College is an independent, Catholic school in the Archdiocese of Toronto committed to the Augustinian values. Founded in 1999, Villanova College is committed to preparing students in grades 4-12 for university studies, for leadership, and for life. Challenge, community, care, respect, and responsibility are the recurring themes that characterize Villanova College.